This was the first series of coins minted for, and used by South African people. 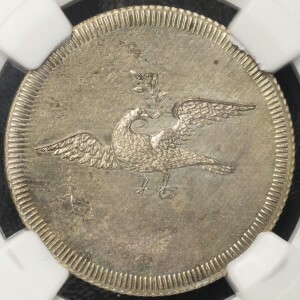 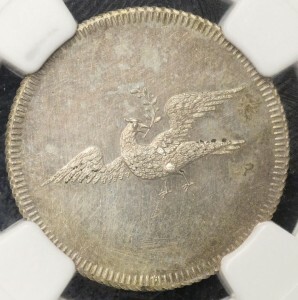 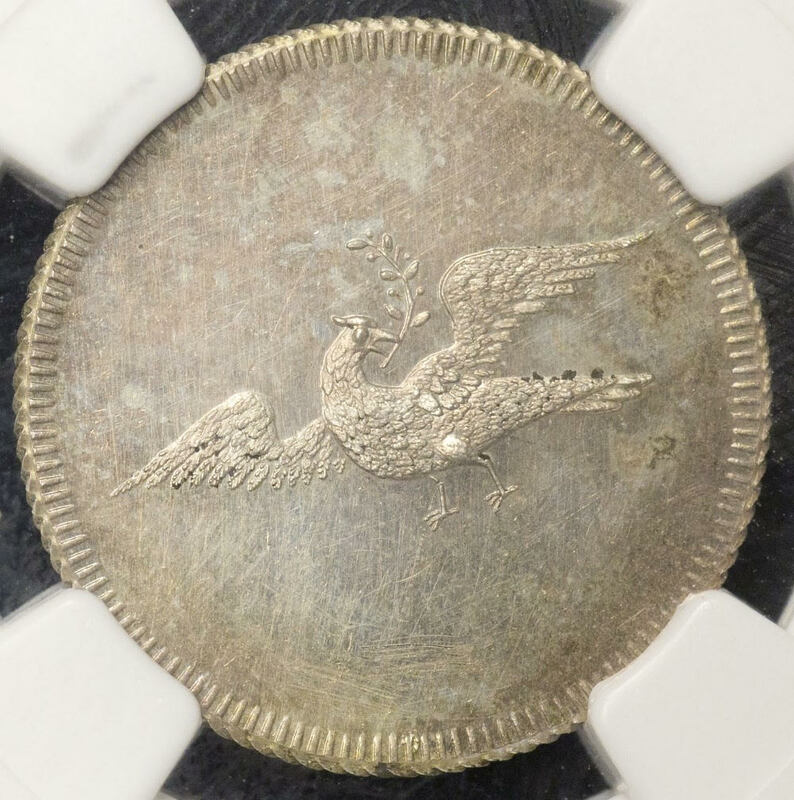 No known record exists of the mintage figures. 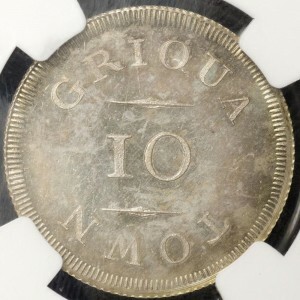 The coins were struck in England, under instructions by the London Mission Society. 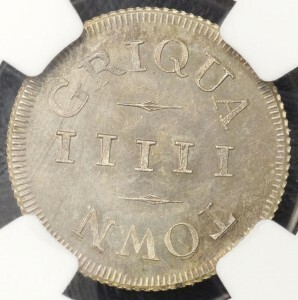 Rev Cambell cut the dies and the punches under instruction of Thomas Halliday. 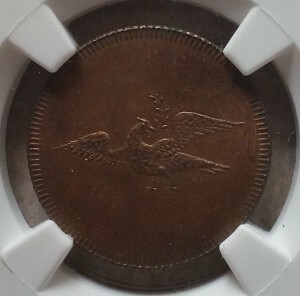 The Dove shown on the coins is the emblem of the London Missionary Society. 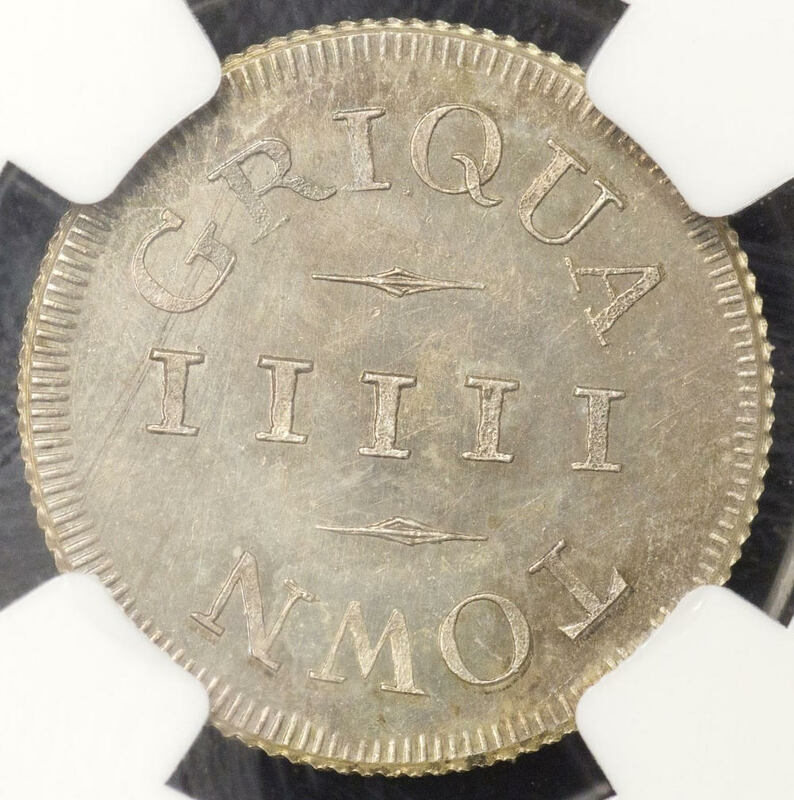 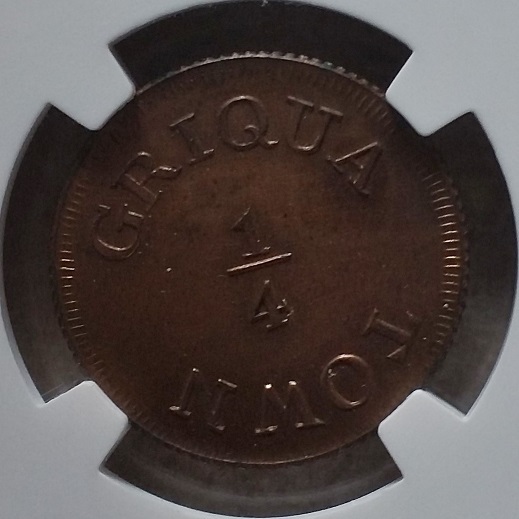 These coins were first used by the Griqua people in the Klaarwater district near Kimberley and only circulated for about two years before being withdrawn and smelted. 1892 ZAR Kruger Penny Graded PL 64 Prooflike!